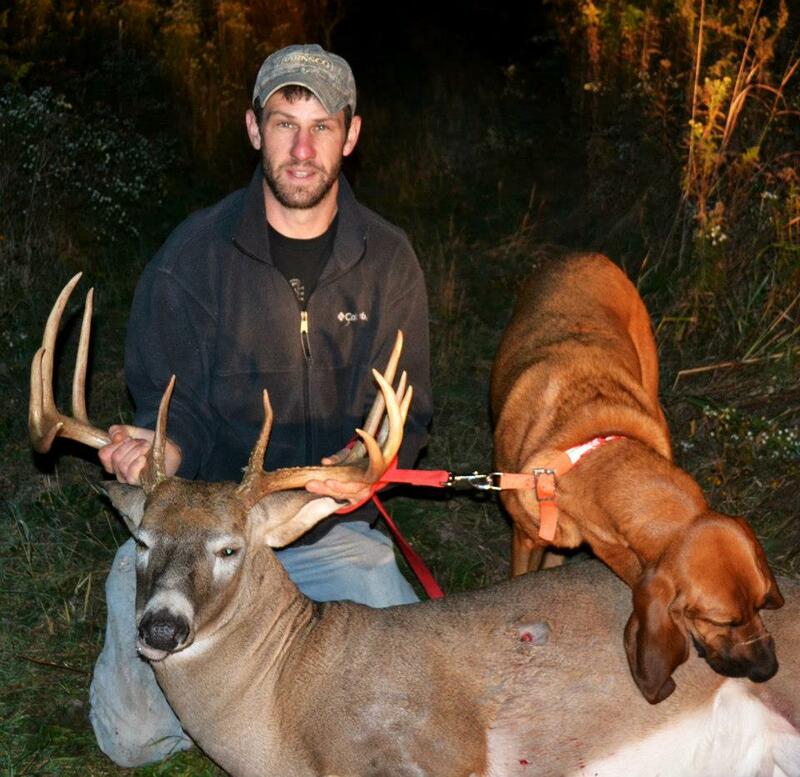 MICHIGAN DEER TRACK'N HOUNDS LLC Michigan's Professional Deer Blood Tracking Dog Services: Southern michigan. 2014 Michigan youth hunt. Southern michigan. 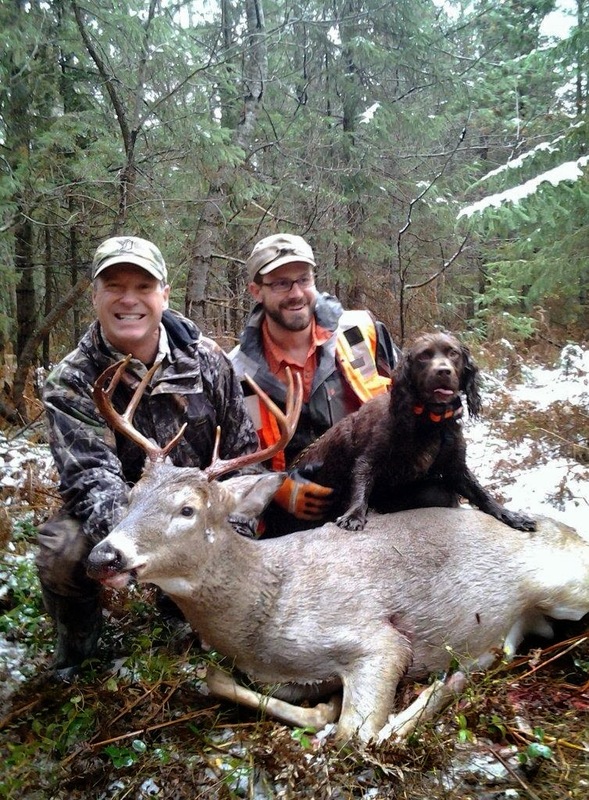 2014 Michigan youth hunt. It started to rain!!! She had the cross hairs on this monarch Doe vitals just waiting for her fathers approval. Jose gave her the green light. Her shot hit the doe perfectly as the bolt tipped with a rocket Broadhead quickly blew through her like a hot knife through butter. They waited for about 11/2 hours to start looking for blood. It was raining non stop however Jose was able to follow the blood trail for 75 yards until the doe got in to a thicket. There was a brush hogged trail that split off in to a Y and Jose couldn't find any more blood to confirm her direction. So Jose went forward looking for the deer or more blood. After some time of searching he backed out and brought in the 4 legged tracking Insurance. The doe ran maybe 20-30 yards further in to the thicket and due to nightfall and extremely thick brush you would have had to step on the Doe to find her at night. 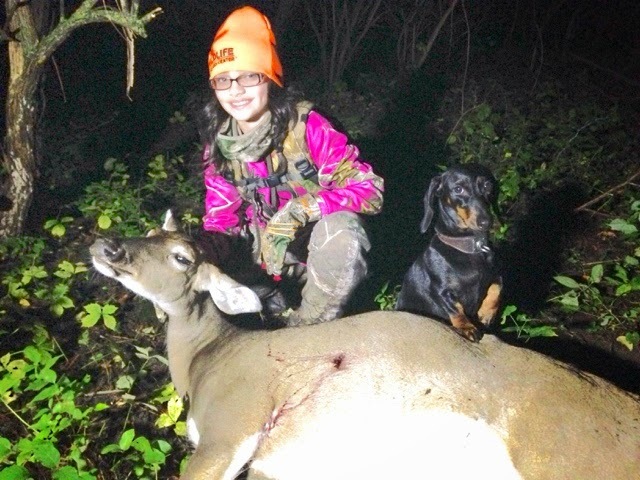 Sypris made quick work and found Isabellas first deer in a couple minutes. By tracking that night with the hound insured for a quick recovery. Jose would have found the Doe the next morning however the meat would have spoiled. 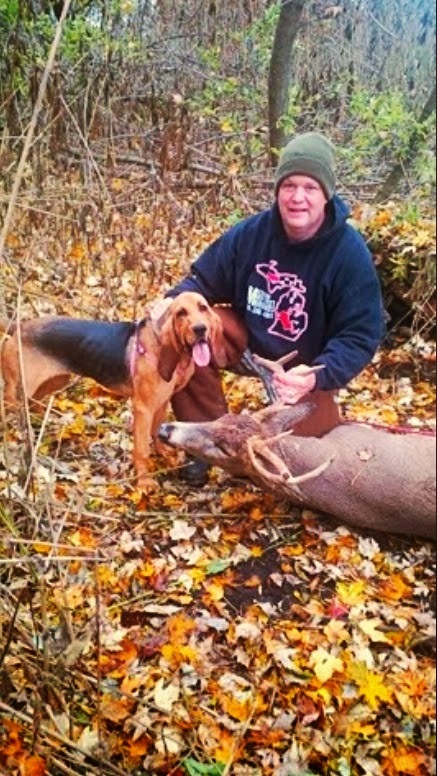 Also by using the dog he is teaching his daughter that you use every means available to recover any deer you shoot.